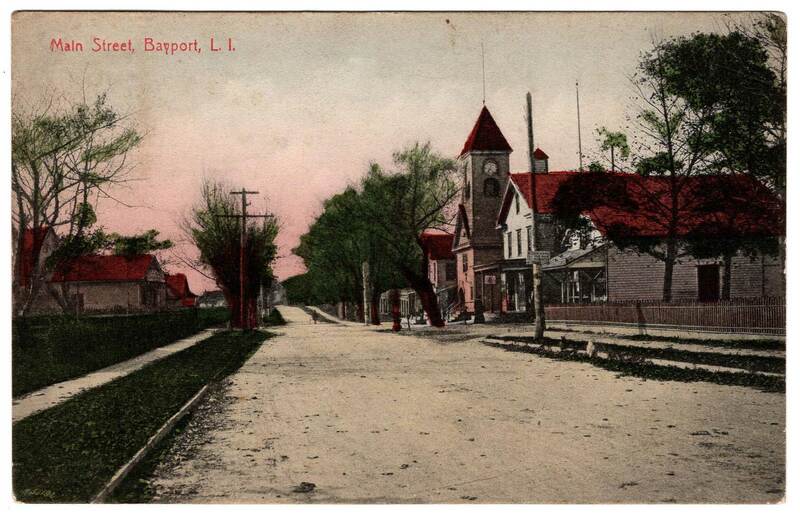 This picture postcard view dated 1915 shows Middle Road looking west from Bayport Avenue. George West’s Butcher Shop, Snedecor and Squire’s Store (later Shand’s), and the original fire house were located on the north side of the street. This 1909 photo shows Middle Road Looking east toward Bayport Avenue. This is the site of the first post office. 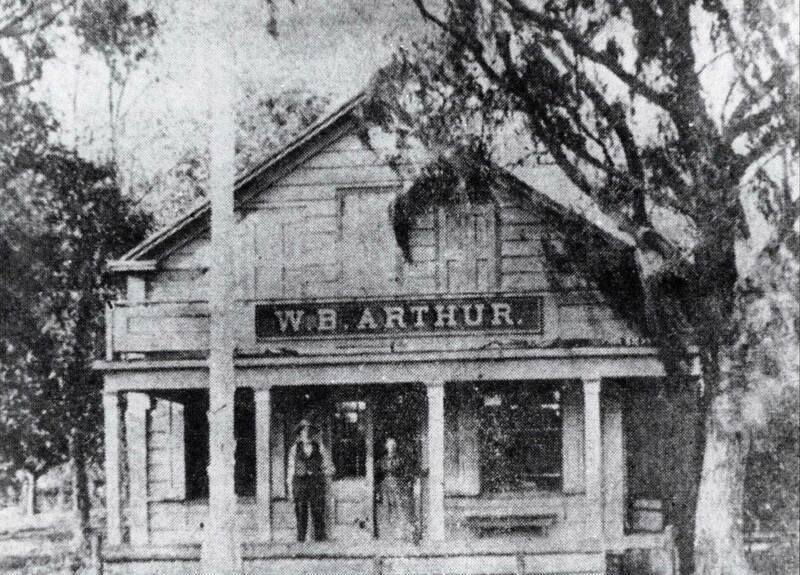 William B. Arthur was the post master from 1870-1885. The building still stands today, just north of the train tracks on Bayport Avenue. From 1895 to 1914, the post office was in this building on Middle Road, originally at the present location of Morgan Lane. The building was moved to Morgan Lane and is currently a private residence. 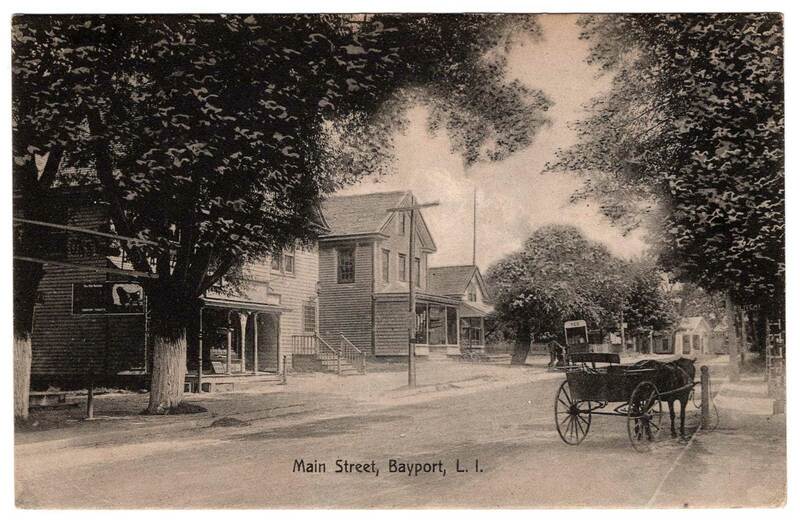 In the early 1890’s, as the Bayport community continued to grow, it became evident that a larger schoolhouse was needed. 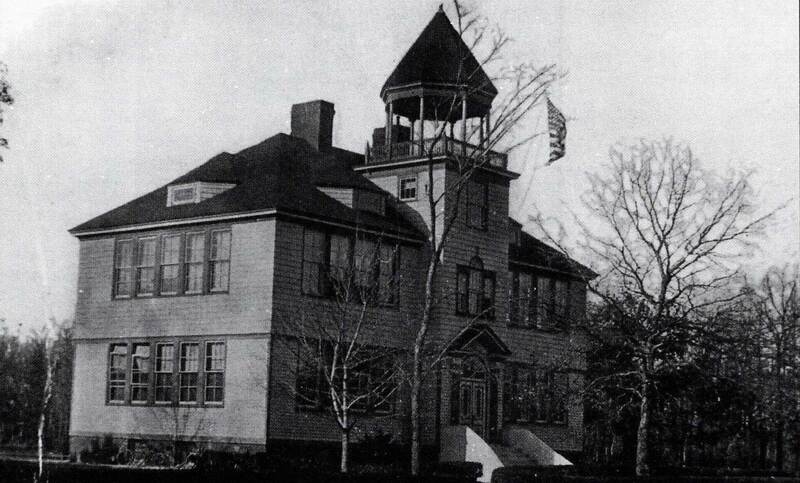 The school shown here was dedicated on March 18, 1895 as was located on the same grounds as the current Bayport-Blue Point High School on Snedecor Avenue. Unfortunately, the school burned down on February 5, 1926. 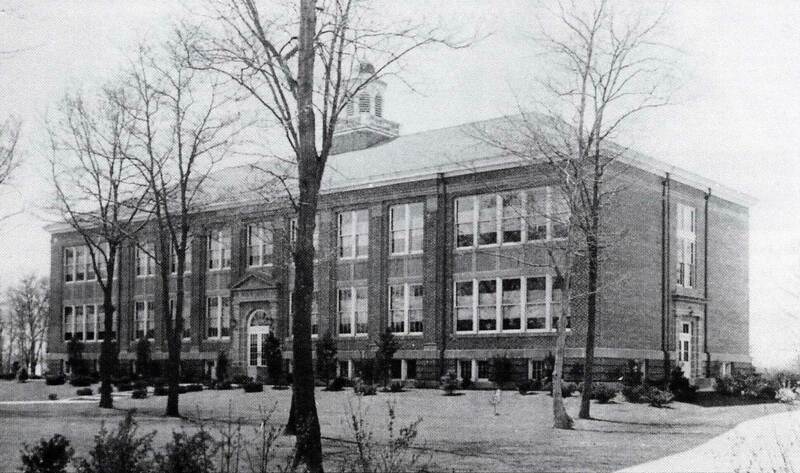 The current Bayport-Blue Point High School was opened on November 3, 1927 and accommodated elementary and high school students.